Tomorrow's game takes place at the Toyota Stadium. 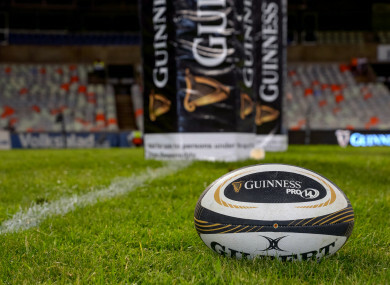 THE GUINNESS PRO14 fixture between the Cheetahs and Cardiff Blues scheduled to be played on Saturday afternoon has been pushed back after the Welsh region endured a nightmare journey to South Africa. The crucial round 19 game was due to kick off at 4.15pm local time tomorrow but has been postponed by three hours with Cardiff only arriving in Bloemfontein on Friday evening. This comes after the Blues had travelled for more than 55 hours and reportedly arrived in South Africa without their luggage. Cardiff were meant to fly out of London Heathrow on Wednesday evening ahead of tomorrow’s clash at the Toyota Stadium but their departure was delayed by 20 hours, leaving some of the players to sleep on the airport floor. To compound matters, the squad’s connecting flight to Bloemfontein was then delayed, with three players – Willis Halaholo, Rey Lee Lo and Ethan Lewis — flying ahead on an alternate flight. The rest of Danny Wilson’s squad finally arrived this evening with the Pro14 confirming kick-off is now 7.15pm local time on Saturday. Trailing third-placed Cheetahs by five points with three regular season games remaining, Cardiff, who come in off the back of eight consecutive wins in both the Pro14 and Challenge Cup, can boost their chances of qualifying for the play-offs with a victory. Email “Crucial Pro14 fixture pushed back after Cardiff endure 55-hour journey to South Africa ”. Feedback on “Crucial Pro14 fixture pushed back after Cardiff endure 55-hour journey to South Africa ”.